Thanks Ricky Kellum, the Speckled Specialist. Ricky told me he would but me on a "gator." And he did. Good job Ricky! Live shrimp fished under a sliding cork. Fished about 5 ft deep. 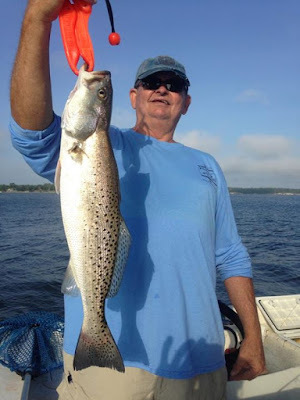 I had never fished for specks with a cork. I am hooked now! 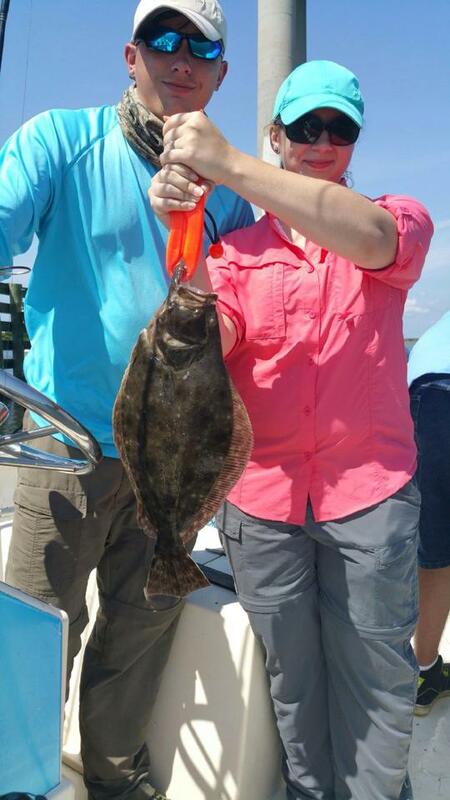 This wasn't the only fish I landed, also two more keeper specks, a nice fat 17 inch flounder. My nephew landed some keeper fish also, and his fiance Laken landed the fish of the day, a doormat flounder. My Grandson Zachary caught keeper fish also. My best spotted sea trout to date! And I never thought about weighing it.